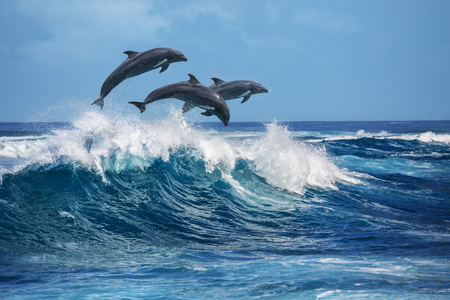 Description: Three beautiful dolphins jumping over breaking waves. Hawaii Pacific Ocean wildlife scenery. Marine animals in natural habitat.